Apr  9 14:09:24 pine1 systemd-timesyncd: Synchronized to time server 91.189.89.199:123 (ntp.ubuntu.com). If not you may want to update to the latest nightly build. There was a commit that removed the activation for this fix and the following nightly build had this issue return. That has since been corrected and the latest DEV build once again has the mitigation to avoid this issue. Thanks, this was indeed missing in dmesg output. I switched to latest kernel 5.0.7, where this is again active. I am having clock issue with kernels 5.0.5 and 5.0.7, where "Allwinner erratum UNKNOWN1" is active. 1) It only affects system time. Hardware clock (sudo hwclock) is still correct. 3) After reboot "sudo hwclock -s" works and system time is updated. 4) A reboot soon after "sudo hwclock -s" results in the wrong system time being back right away. 5) If I wait for a 1-2 minutes after setting the correct system time, the reboot does not break the time. 7) The following types of errors are also recorded in kern.log: "rcu: INFO: rcu_sched self-detected stall on CPU" or "rcu: INFO: rcu_sched detected stalls on CPUs/tasks: ". I am attaching the full kern.log with different variations of the above errors. as it is kubernetes master. The load is not big at all, as the cluster is empty at the moment. On a Pine A64+ I've actually started to see frequent 'rcu_sched self-detected stall on CPU' again with recent builds since the switch to the new toolchain, without any other changes. This includes both the armbian nightlies as well as my own custom builds. I haven't tried to go back to the previous toolchain yet, nor have I seen any problems with either the system clock or the hardware clock. I have noticed that two other (unrelated) A53 errata are no longer activated on boot even though they are still both configured and built into the kernel: 843419 and 845719. Again the only difference appears to be the toolchain used to build the kernel. Rushed a bit here and updated when I posted above to the then nightly build. Rebooted and all was fine for a bit. Then did update / upgrade and Pine64 does not boot now; my fault for rushing. Removing SD card and will have a look see at it. I have historically bricked the Armbian Pine 64 by updating the kernel. I do not have a monitor connected to it and cannot ping the ip although the network port LED is blinking. It is not a big deal relating to updating it as the automation and automation configuration files can be backed up and restored to a new running Armbian Pine64. Takes only a few minutes to create SD card and update it. but I havent seen any time-errors in the last time. 2 - Wrote standard release to SD card and it booted fine; then updated it to nightly and it reboots fine now. 3 - changed IP to static, changed hostname, configured time, update and upgraded. Note: Pine64 2Gb computer Hardware modes - heatsinks top and bottom and Euler Bus 5VDC power and RTC with battery add on. Did not compile test timer to test with. Can any body post the compiled test timer here? Can any body post the compiled test timer here? Did you uncompress it first before using Etcher ? Yes uncompressed the file in Ubuntu and used img file to write to the card with Etcher. The second time I deleted the old partition using GParted which probably fixed the card. I'll try it again with the nightly image on another card (cleaned with GParted). 1 - using new 32 gb fast SD card (Samsung) - deleted old partition from earlier testing. 10 - do not see Pine64 coming up as a client on DHCP server (PFSense) as earlier described. ARP on local network shows that there is something trying to get a DHCP address. 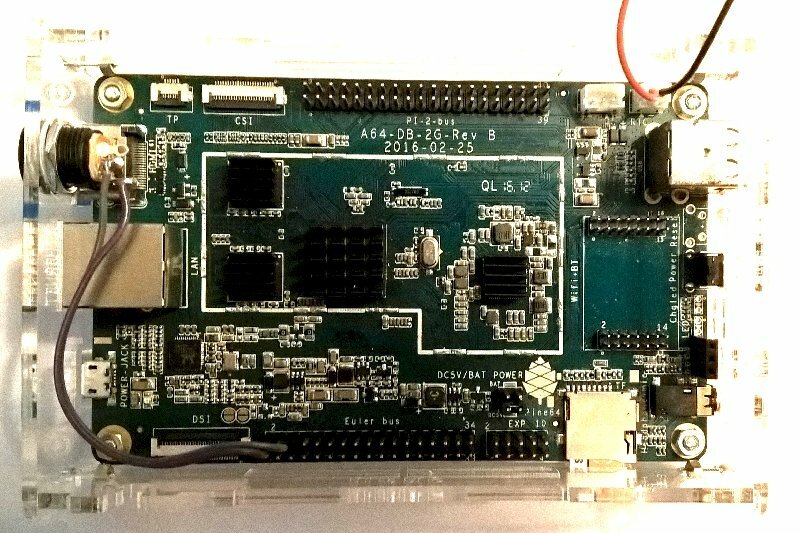 Unpowered Pine64 and powered it up. Again NIC LED flashing but Pine64 never starts and gets a DHCP address. Now will write a standard release to SD card and try again. At this point earlier just did the armbian-config update to a nightly build to get to the above. 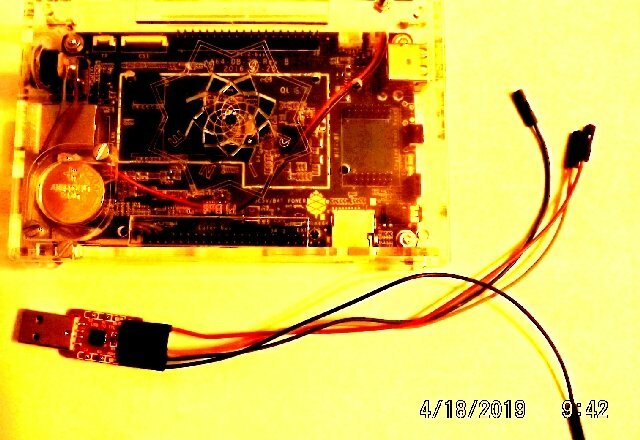 That is strange ... For me, this image is working perfectly ... Use a USB-TTL Serial Debug dongle to figure out what is happening during network setup. Yes have a USB-TTL serial dongle that I have been using for my Tasmota / ESPurna updating of devices. Only thing is that I never used one on the Pine64 and have a custom 3 D printed case for it (from a guitar player in Spain). 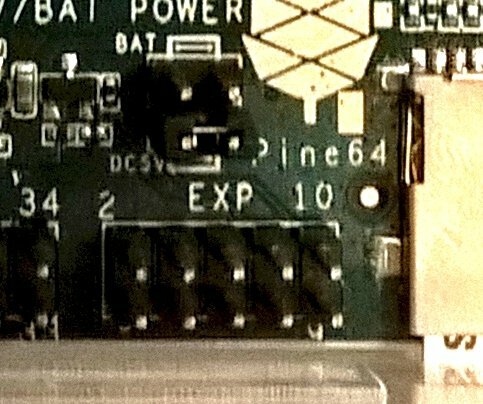 Where are the JTAG pins on the Pine64? Should I use the Euler bus or Pi bus? Yes different revision and same pins...which ones are the RX-TX-Ground pins? Building a new SD card with firmware. Should I utilize minicom to watch serial port...what do I set baud rate to? 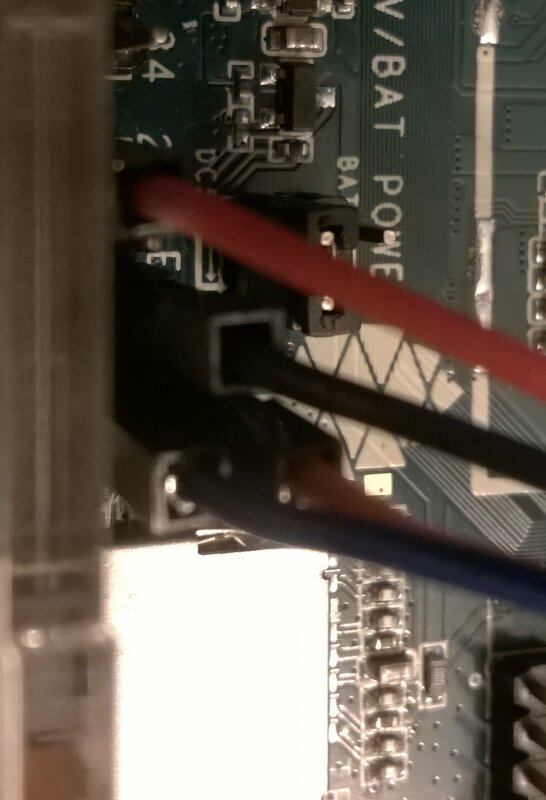 Will it boot up with 3.3VDC from USB TTL device or do I have to connect external power supply? 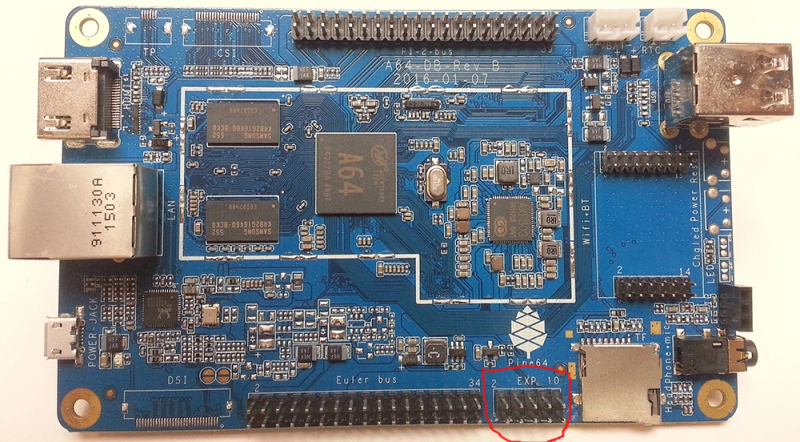 Personally, I hate minicom, so I use "picocom -b 115200 /dev/ttyUSB0" . EHCI failed to shut down host controller. Got to leave in a little bit here for about 3 hours....do you need anything more for time bean?